Charters schools and vouchers: Decimating the case for privatizing public education. Three new books decimate the case for charter schools and vouchers. The case for market-driven reforms in education rests on two key premises: The public school system is in crisis, and the solution is to let the market pick winners and losers. Market strategies—high-stakes teacher accountability, merit pay, shuttering “failing” schools—are believed to be essential if public schools are ever going to get better. And these maxims underlie the commitment to charter schools and vouchers. Freed from the dead hand of bureaucracy and the debilitating effects of school board politics, the argument runs, schools are free to innovate. If you follow education debates, you’ve heard that again and again. Here’s what’s new: A spate of new books undercuts both propositions, simply decimating the argument for privatizing education. 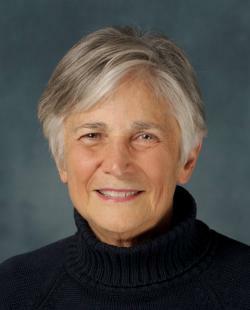 Since The Death and Life of the Great American School System, her 2010 best-seller, Diane Ravitch has been the most prominent critic of the market-minded reformers. Americans love apostates, and the fact that, as assistant secretary of education in the first Bush administration, Ravitch acknowledged that she had “fallen for the latest panaceas and miracle cures and drunk deeply of the elixir that promised a quick fix,” has given her considerable credibility. Now she pops up everywhere, keynoting national conventions, urging on teachers at an Occupy the Department of Education rally, being profiled flatteringly in The New Yorker, deluging her supporters with emails, and sparring with ex-D.C. Schools Chancellor Michelle Rhee, the darling of the privatizers, about how to “fix” education. Exhibit A in the sky-is-falling argument is the claim that test scores are plummeting. Ravitch shows that, quite the contrary, scores on the National Assessment of Educational Progress, the nation’s report card, have never been higher. (The biggest gains in NAEP scores were recorded before the No Child Left Behind Act, with its fixation on teacher accountability and high-stakes testing, was implemented.) Nor do American students perform as badly as advertised on international exams—in 2011 tests of math and science, only a handful of countries did better. There’s no new dropout problem—students are staying in high school longer, and six-year graduation rates have never been higher. Point by point, Ravitch attacks what has become the conventional wisdom about how American schools are failing and how to save them. Students’ test scores mismeasure the worth of teachers, and so shouldn’t be the basis for rewarding or punishing teachers. Merit pay for teachers has never worked. Neither tenure nor unions undermine the schools. Teach for America recruits, straight out of college, do no better, and often do worse, than teachers with credentials. Poverty isn’t an “excuse” for ineffective teaching but a fact of life that schools must take into account. Ravitch is both a respected scholar and a gifted polemicist. While she makes a powerful argument for strengthening, not dismantling, the public schools, in a few instances she has soft-pedaled the problems. She gives unions a pass, even though in many districts it’s harder to fire incompetent teachers than to defrock doctors or lawyers. And while Ravitch acknowledges that we’ve slipped from first to 14th in international rates of college graduation, she’s unworried by this relative decline. Yet there is reason to fret: As Harvard economists Claudia Goldin and Lawrence Katz show, in their 2010 book The Race Between Education and Technology, America became the world’s richest nation during the first eight decades of the 20th century mainly because of our shared commitment to higher education. To remain atop the heap, they argue, we need to do better. Another new book, The Public School Advantage, which will be published later in the fall, is packed with statistics that add to Ravitch’s bill of particulars. The authors, University of Illinois professors Christopher and Sarah Lubienski, strike a powerful blow against the central premise that students at charter and voucher schools get a better education than their public school counterparts. Demographics, not quality, explain the supposed superiority of private and charter schools, they conclude. While these students record higher scores on NAEP mathematics tests than youngsters enrolled in public schools, the Lubienskis’ research shows that’s because they come from better-off families, which presumably have the time and resources to give their children an educational boost. In fact, the public school students actually fare better on the NAEP math test than their private and charter school counterparts with similar socio-economic backgrounds. Of course, performance on standardized exams isn’t the only measure of a school’s quality. But the privatizers have relied heavily on test scores to damn public schools, and the fact that they have got the analysis wrong is another reason to discount their claims. The bible of the marketeers, Politics, Markets, and America’s Schools by political scientists John Chubb and Terry Moe, brazenly asserts that “choice is a panacea.” Yet as with the supposed crisis in public education, faith that turning education over to the private market can provide the solution doesn’t fit the facts. Perhaps the most startling finding in The Public School Advantage is that the autonomy of private and charter schools—the attribute so prized by the market advocates—may really be getting in the way of their improvement. Rather than taking advantage of their freedom by being creative in how they teach math, many private schools still use an outmoded pedagogy that stresses memorizing formulas, not problem-solving. And instead of using their autonomy to become better, they invest in marketing that’s designed to attract the easiest-to-educate students. These are generalizations, of course, which don’t describe any particular school, and some charters, like the KIPP and YES Prep schools, are exemplary. But the clear takeaway from the Lubienskis’ research is that choice may actually cause more problems than it solves. How public education can do a better job, not one school at a time but systemically, is the focus of another noteworthy forthcoming book, Improvement by Design. During the past quarter-century, and without any fanfare, several thousand public schools have adopted models that revamp the practice of teaching, making it more deliberative and collaborative, in order to boost student outcomes. University of Michigan professor David Cohen and his colleagues, who spent years tracking these initiatives, detail how some of America’s worst-off schools have deployed them to do better by their students. The hard work of continuous improvement—figuring out new ways to develop inspiring teachers, engaged students, and challenging curricula; the kind of work that impatient, panacea-minded privatizers dismiss out of hand—can pay off. It’s the same conclusion that Christopher and Sarah Lubienski reach via a different route. Public school students have made steady gains on the NAEP math tests in the past generation because the much-reviled public school bureaucracy directed its teachers to rethink how they taught. The Lubienskis’ data show that what sets public schools apart is pretty basic—reliance on certified teachers (take that, Teach for America) and reform-oriented instruction. Aesop had it right: In education, tortoise beats hare. Yet fascination with the quick fix persists. The marketeers have substantial backing from the Broad Foundation, the Walton Family Foundation, and other deep-pocketed investors, which lubricate the movement. And Washington lawmakers, fixated on test-based accountability and charters, are unlikely to rethink their belief in corporate-style reform any time soon. At the local level, though, there are signs that the political winds are shifting. In Los Angeles and Seattle, pro-public school board candidates fought off far better-financed opponents. The front-runner in the New York City mayoral race, Bill de Blasio, has made much of his opposition to the market-driven strategy pursued by Klein and Mayor Michael Bloomberg. Public schools have gotten bad press in recent years; not surprisingly, the general public is somewhat disgruntled. But parents, whose opinions are what really matter, see things very differently. Seventy-seven percent currently give their local schools an A or a B—the highest grades in the 45-year history of the Gallup-Phi Delta Kappa annual poll. Public education has long withstood attacks from all quarters, and when the dust settles, it’s likely that it will have survived the onslaught of the marketeers. As the spate of new research shows, that’s a very good thing.